The Big Sky Country, or The Treasure State, is a large, western state in the United States, sharing a border with Canada. 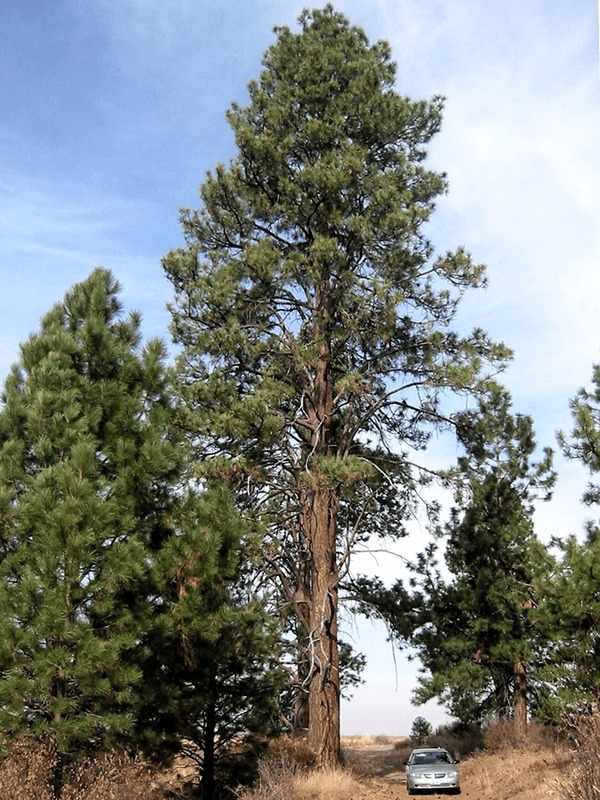 It is here in Montana the Western Yellow Pine (or Ponderosa Pine, Bull Pine, or Blackjack Pine), a large coniferous evergreen, reaches its tall heights, the record being a 268 foot pine. This is now the tallest known pine tree. With unique yellow or orange-red bark split into large plates by black fissures, the Western Yellow Pine is easy to identify. Younger specimens display blackish-brown bark, thus the other common name Blackjack Pine. The Western Yellow Pine has bright green needles bundles into groups of three, though the size of needles varies based on the individual species. Not limited to the Western Yellow Pine, Montanan growers have many varieties of trees to choose from when planting. As property in Montana continues to be developed, land owners are searching for trees that will provide privacy from prying neighborly eyes and loud, unwanted noise. There are many fast growing privacy trees in Montana, which will quickly grow after initial planting to offer your property and family long sought-after privacy. The Thuja Green Giant, a staple of privacy trees throughout Montana, is a fast-growing pine that will quickly provide a barrier between you and your neighbors. Growing between 3-5 feet a year, the Thuja Green Giant will offer your yard classic French design with minimal hassle. Alternatively, the Leyland Cypress and American Holly will also add color and privacy to your yard’s perimeter. 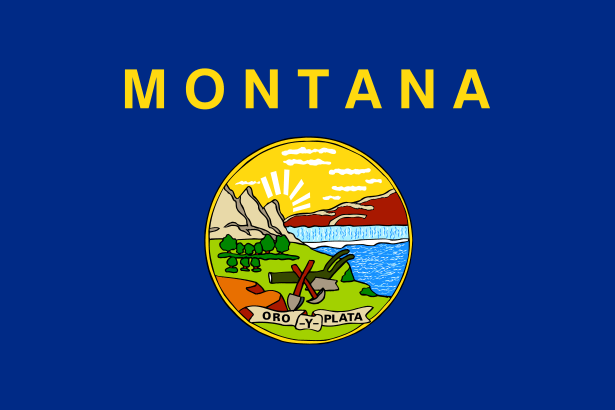 Montana displays a wide variety of geographical and topographical variations across its large mass, and so it is no surprise the climate varies widely, too. The western half of the state is mountainous and the eastern half includes low plains, badlands, and isolated hills and mountain ranges. The Continental Divide largely impacts the area, stopping the movement of both warm Pacific air and cool continental air. The records speak for the temperatures variations; the highest on record is 117°F from 1893 and the lowest on record is -70°F in 1954. Temperature generally varies based on elevation, latitude, and season. Summers are hot with relatively low humidity, cooling above 4,000 feet. Winters are cold and snowy, averaging daily at about 28°F. Again, temperatures vary greatly. The same date -70°F was recorded near Rogers Pass, Helena, only 40 miles southeast, recorded a temperature of -36°F. Most trees require well-drained soil rich with minerals to grow. Montana is covered in the rich, deep Scobey soils. Covering more than 700,000 acres, Scobey soils are well-draining and ideal for wheat. Regardless of the property’s location in Big Sky Country, a soon-to-be tree planter can perform a simple test to determine his/her soil type. 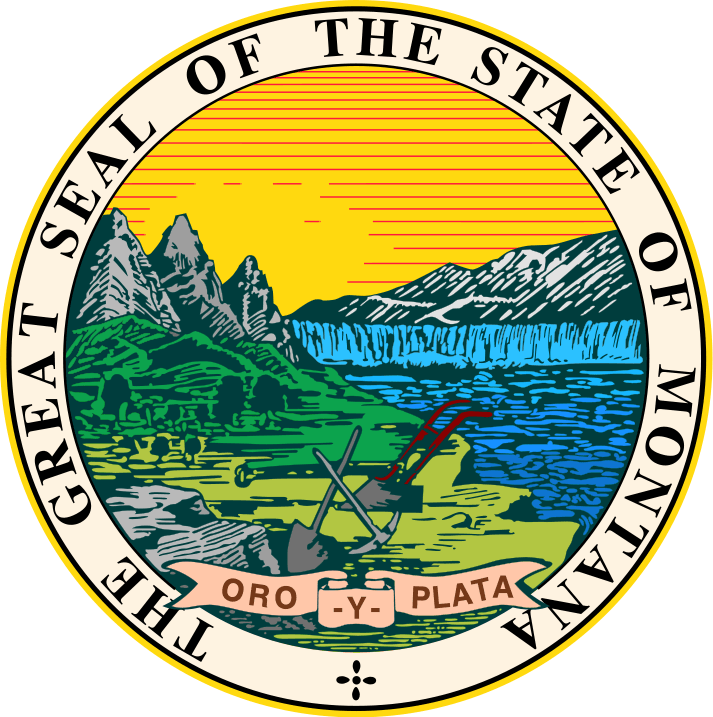 The average annual precipitation in Montana is low, measuring at only 15 inches a year. However, as geography and temperatures vary greatly, so, therefore, does annual precipitation. The east of the state is drier, with the mountains blocking Pacific moist winds and creating a rain shadow. Places in these regions often measure less than 11 inches of rain. Heron, in the west, records 34 inches of rain annually, while the mountains can receive upwards of 100 inches of rain. Snow can be quite heavy, though again variable. Some areas in the south have averaged only 6 ½ inches of snow over sixteen years, while most cities receive between 30 and 50 inches of snow in the winter. Mountains ranges, unsurprisingly, can receive upwards of 300 inches of snow in a given season. With a low annual average of rainfall, and such variations existing across the state, the Montana tree-planter will benefit from well-though out irrigation systems. Newly planted trees require consistent and controlled access to water. Upon transplantation, new trees’ root balls and new growth can suffer. Depending on the variety of tree you plant, your tree may need water anywhere from once a week to twice a day. Investigate the property for natural or man-made irrigation systems, and if none exist, consider a drip or sprinkler irrigation system to ensure well-managed water access for your plants. Montana’s diverse geography and temperature variations are part of the reason it has eight unique growing zones. A growing zone simply refers to the USDA’s determination of areas where certain plants are most likely to thrive, preferring to focus on minimal temperature ranges in which a plant can survive. Montana’s growing zones are centered around elevation points, with divergent zones throughout the state. Along the far west of the state, temperatures do not usually drop below -10°F, while many regions of the east and north experience frequent lows between -35°F and -40°F. At very high elevations, temperatures are likely to fall to -50°F for extended times. Snowstorms and floods are the most common in Montana. Snowstorms occur from September to May, though most falls from November to March. On the other hand, weather in Montana has continued to warm recently. Montana’s Glacier National Park is expected to be glacier-less in a few decades, and the melting water has caused flooding and record high temperatures. This has also caused severe forest fires in recent years, with a 200% increase in areas burned by wildfires and an 80% increase in air pollution. Trees can be an asset in flood and pollution situations, increasing air quality and providing protection from erosion. If you prefer to purchase your trees or shrubs in person instead of online, we offer this comprehensive guide to purchasing a tree at your local Montana nursery or garden center. However, since we don’t actually live in Montana we can’t guarantee this list to be 100% accurate – but we did attempt to be as accurate as we possibly could. We have no affiliation with any of the businesses listed below and make no guarantees as to the businesses’ ability or the quality of trees you will receive. As with any purchase you make, be sure to check out the business with the Better Business Bureau, references, and any other sources you may have.